Some very good players should be available at the NHL trade deadline, enough of them to put together an All-Star team. The NHL trade deadline is just over two weeks away and the hot stove is starting to warm up. Which contenders will bolster their rosters for a Stanley Cup run? Which disappointments will look to unload veterans and big contracts in an attempt to reshuffle? And how many of those deals will make sense? Most importantly, which players will be dealt? If we were putting together a NHL All-Star team made up of players likely to be moved by March 1, here’s what that squad might look like. Hanzal is an intriguing target. A skilled defensive forward, he’s an excellent faceoff man who can kill penalties and provide tough minutes at even strength. The 29-year-old has some offensive touch scoring at a 15-goal+ goal pace in five consecutive seasons, including 13 thus far in 2016-17. 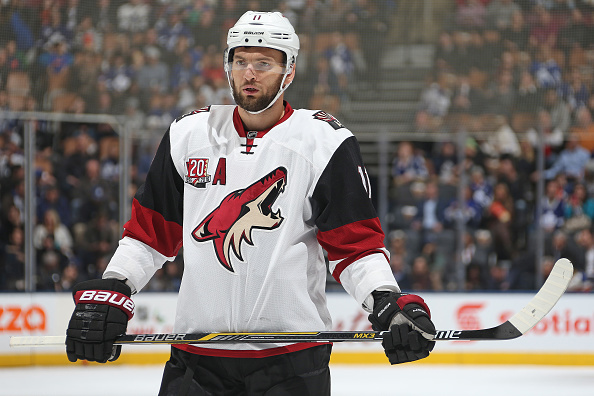 Hanzal’s ideally a second-line center who does enough little things right, that he can be deployed in virtually all situations. There is some buyer-beware with Hanzal. Plagued with health issues, he hasn’t played over a full season since 2009-10. The Coyotes are also asking for a king’s ransom. Elliotte Friedman of Sportsnet.ca reported last month that Arizona asked the Canadiens for NHL-ready forward Michael McCarron and a first-round pick (plus a conditional pick) for Hanzal — a steep ask for a pending unrestricted free agent. The Coyotes would do well to sell-high on Hanzal. He’s an effective player, understandably coveted by multiple teams. But if they’re expecting a first-round pick plus, they’re going to be disappointed. Matt Duchene earned every inch of this goal. The @Avalanche lead it, 4-3! Duchene is the biggest name on the open market. He’ll probably cost the most to acquire, too. The 26-year-old is a dynamic, high-effort forward, capable of putting up points at an above average rate. 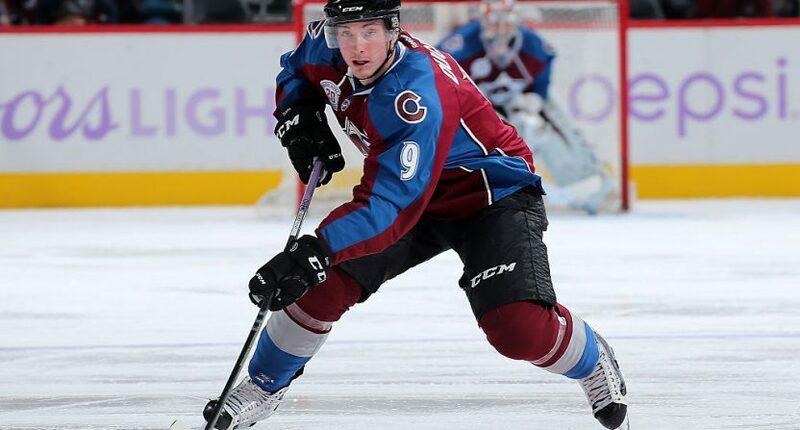 As Colorado’s season rapidly decomposes in the dumpster, Duchene has remained productive with 15 goals, 17 assists and 32 points in 48 games. At a reasonable $12 million total remaining on his contract over the next two years, Duchene isn’t just a rental, but a potential building block. Not often do players of his skill and age become available. General manager Joe Sakic will look for a future top pair defender, a high draft pick and more. It’s a high ask for an extremely talented player. Duchene will be shopped hard, but if he stays with the Avs, it wouldn’t necessarily be a bad thing. Most of which I wrote about Duchene above, can be applied to Landeskog. The Avs are a mess and appropriately in full sell mode approaching the trade deadline. Dealing Landeskog would net them a tidy return of prospects and future assets. Still just 24 years old, Landeskog is experiencing a career-worst season. He’s scored just 22 points in 43 games. Despite the off year, Landeskog makes a reasonable $22 million over the next four seasons. An intriguing mix of talent and leadership, the current Avs captain likely hasn’t played his best hockey yet. 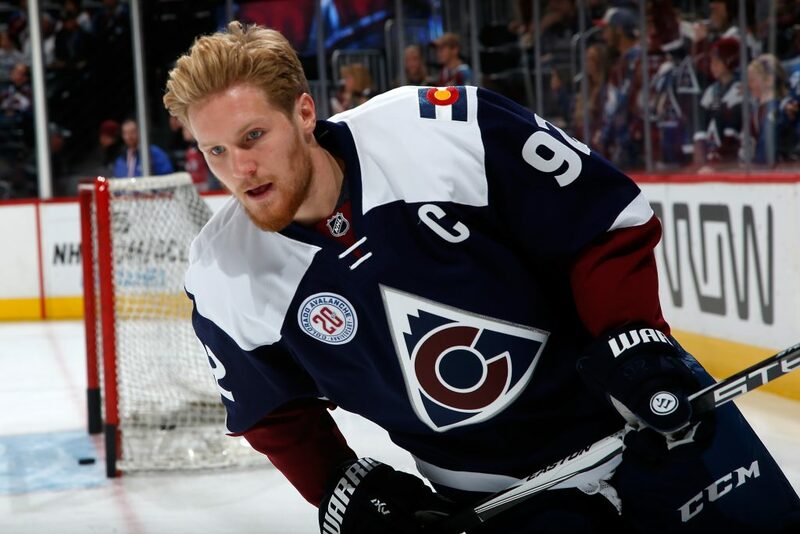 The cost will be high, but Landeskog is a great buy-low candidate. Whoever acquires him will get one heck of a player. Even if a trade would be against their better judgment, the Blues have shopped Shattenkirk hard. Shattenkirk is an elite offensive defenseman and power play specialist who ignites St. Louis’ offense. In 56 games, Shattenkirk scored 39 points — 18 on the power play — in 56 games. At a nearly 60-point pace, he’s understandably highly coveted. There are flaws in Shattenkirk’s game. His defensive ability has hindered his chances at becoming one of the game’s best rearguards. He’s not a total liability in his own end, but the Blues have wisely deployed him in the offensive zone 37.8 percent of his zone starts. Defensive issues aside, Shattenkirk is an undoubtedly a top-pair guy. The Blues aren’t in love with his game and as a pending unrestricted free agent, they’ll look to get some return for him before he surely walks in free agency. 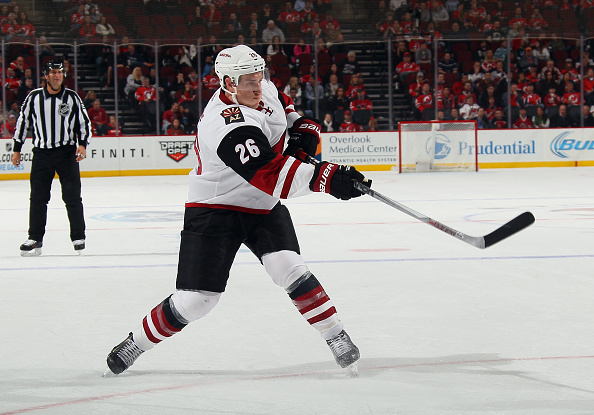 Stone appeared to be one of the game’s most underrated defenseman in 2015-16, scoring 36 points, logging top minutes on the Coyotes top pairing. His output has dropped dramatically and there’s a good reason why: the Yotes moved the 26-year-old away from former partner Oliver Ekman-Larsson. It’s somewhat exposed Stone’s true value. Stone’s offensive production has plummeted now that he’s paired prominently with Alex Goligoski. He’s scored just once in 41 games and has just nine points. Still, Stone’s getting top-four minutes and isn’t a total plug — which should lead to Arizona getting an OK haul in return. He’s just not a top pair defenseman. That doesn’t make him valueless, however. Wherever Stone lands, he can step into the bottom-four and play decent minutes in most situations. As is the case with many on this list, Arizona’s incentive to move him is greater as he’s set to hit unrestricted free agency this Summer. He seems destined to move. It’s not every day that a two-time Stanley Cup-winning goalie in his early 30s, with an All-Star birth as recently as 2015, is available on the open market. But here we are. Fleury’s resume is mightily impressive. Before 2016-17, he accumulated 30+ wins in seven of the last eight seasons — with the one miss being during the lockout. Fleury’s been an upper-echelon starter as recently as last season. Unfortunately for Fleury, Matt Murray stole his job, running with it to the Stanley Cup. He’s received the majority of reps (when healthy) since. 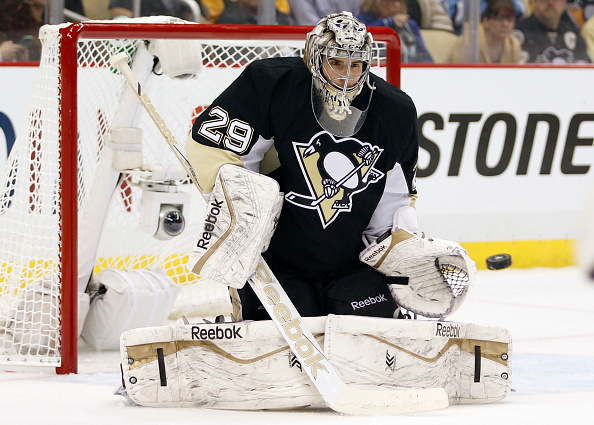 As Murray’s risen, Fleury’s cratered. While his 14-7-5 record looks impressive on the surface, his 3.17 goals against average and sub-.900 save percentage aren’t pretty. A lightened workload surely impacted his play. Regardless, with two years left on his contract worth $11.5 million, Fleury’s starting pedigree should be desired for teams with goalie issues. He’s a near-lock to get nabbed in the NHL expansion draft this summer. General manager Jim Rutherford would be wise to maximize his value and get assets now, instead of letting him go for nothing. Thomas Vanek, Detroit Red Wings – Signed to a cheapie one-year, $2.6 million deal this offseason, Vanek has reestablished himself as a top-six threat in Detroit. He’s got an outside chance at hitting 30 goals. Brendan Smith, Detroit Red Wings – Smith won’t wow with his stat line, but he’s a very serviceable depth defenseman who can improve any teams bottom pair. Also a pending UFA, Detroit would be wise to deal him instead of potentially losing him. Ben Bishop, Tampa Bay Lightning – If Tampa decides that Andrei Vasilevskiy is the long-term solution in net (and it appears that he is), Bishop should be available. A .910 save percentage doesn’t look pretty, but Tampa Bay’s been a mess. He’s a starter.